The Robe Posters from Zazzle.com. 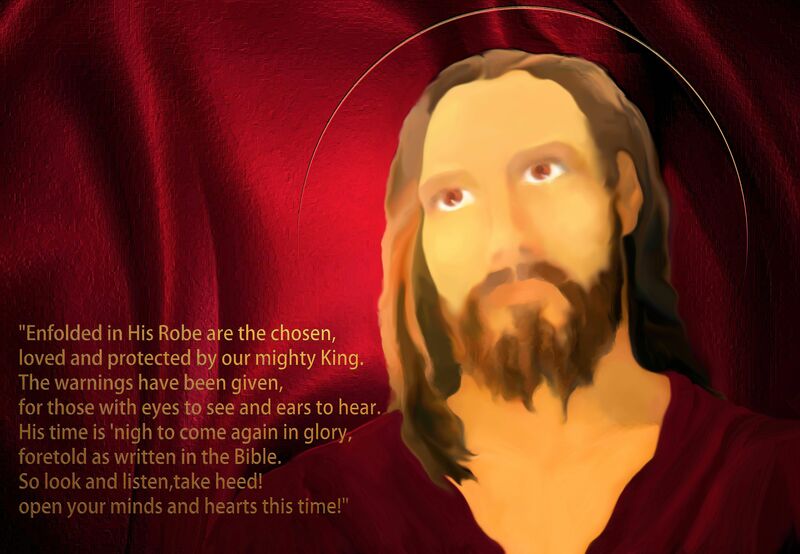 “Enfolded in His Robe are the chosen,loved and protected by our mighty King. The warnings have been given,for those with eyes to see and ears to hear. His time is ’nigh to come again in glory,as is written in the Bible.